Paige Craig is a Founder and General Partner of Arena Ventures. 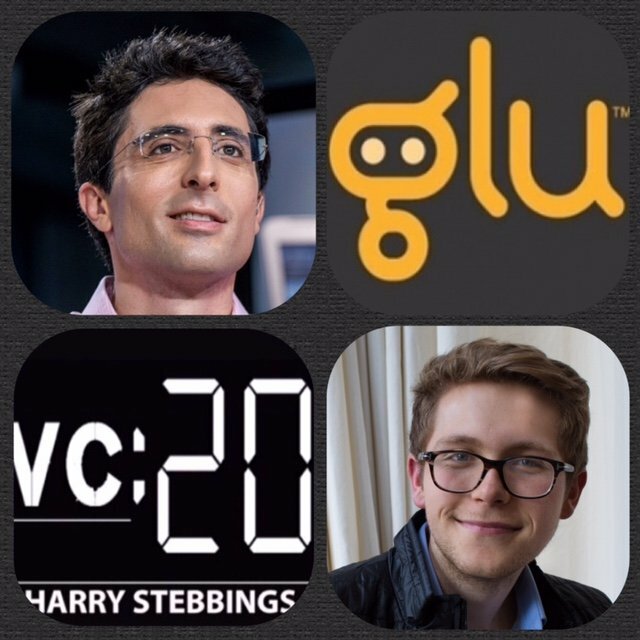 He is an experienced angel investor who has invested in over 110 startups in the last seven years, including companies like Lyft, AngelList, Wish, Postmates, Twitter, Styleseat, Zenpayroll, Quizup and more. Paige spent the first half of his career in the Marine Corps and US Intelligence Community and later launched a defense contractor, driving alone into Iraq in 2003 with just $10,000 and expanding operations across the Middle East, Afghanistan, Pakistan, Africa and Southeast Asia. 1.) How Paige made his way into the wonderful world of VC? 2.) What were Paige’s biggest takeaways from his previous career in the military? How did this shape his investment thesis? 3.) 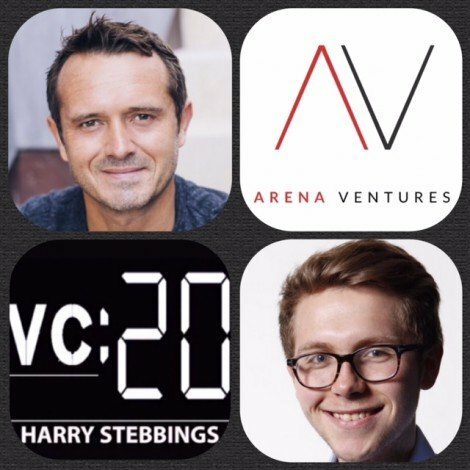 Arena VC have both the fund and the AngelList syndicate, why did Paige choose this dual model? What have been the drivers of it’s success? 4.) What does Paige believe makes a great VC? What aspects of himself would he like to improve upon? 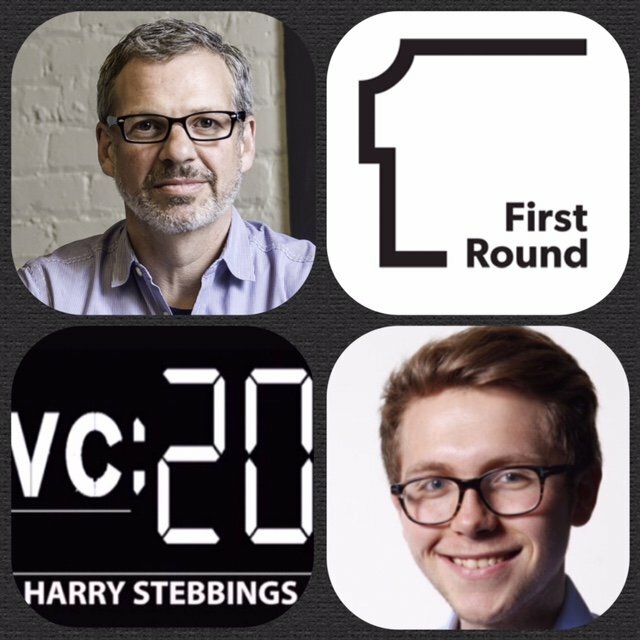 Is an inherent fight mode common among VCs? 5.) What advice would Paige give to someone looking to start a syndicate? What would Craig recommend to someone looking to join a syndicate? 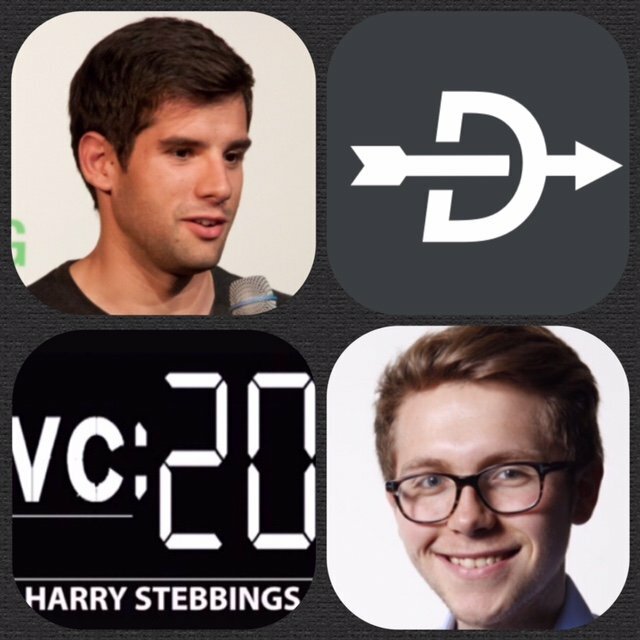 As always you can follow The Twenty Minute VC, Harry and Paige on Twitter here! Branko Cerny is the Founder and CEO at Immediately, the mobile platform for modern sales professionals whose mission is to elevate sales back to it’s core foundation, a relationship driven craft. Immediately has some of the US’s finest backing in terms of investment with the likes of Naval Ravikant @ AngelList, Ryan Holmes @ Hootsuite, Jonathan Abrams @ Friendster and Nuzzel and previous guest Kate Shillo @ Galvanize. 1.) How Branko made his way into the world of tech and came to be CEO @ Immediately? 2.) How does Branko find being one of the youngest enterprise CEO in the business? What are the challenges and what are the benefits? 3.) What can enterprise companies learn from the likes of Tinder and Equinox? How important is brand building for emerging enterprise sales companies? 4.) To what extent will we see the bottoms up sales process continue in enterprise sales? How does this change Immediately approach to UX, UI and brand building? Why did Branko choose to focus on a mobile platform with Immediately? 5.) How did Branko come to meet his stellar lineup of investors? What value add was he looking for when assembling the lineup? Is he concerned by the large number of investors Immediately has at an early stage? As always you can follow The Twenty Minute VC, Harry and Branko on Twitter here! Puneet Mehta, Founder @ Msg.ai, an artificial intelligence startup for conversational commerce and for an AI founder you don’t get much better than starting your career at IBM’s TJ Watson Center, which is exactly what Puneet did. He then went on to build predictive platforms to power large-scale trading systems aka bots on Wall St. It is clearly not joust us who think he is awesome as Advertising Age named Puneet to the Creativity 50 list in 2014, honoring the most creative and innovative thinkers and doers. 1.) How Puneet made his way into the world of AI and came to be the founder of YC’s latest, Msg.ai? 2.) 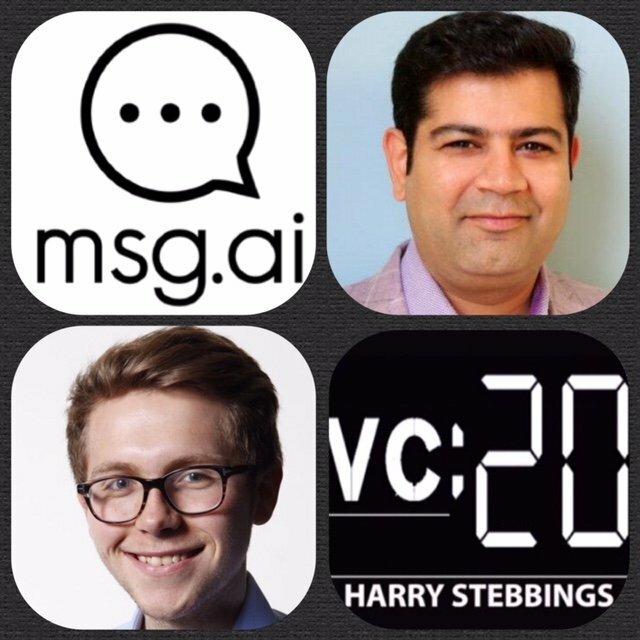 How has the YC experience been for Msg.ai and for Puneet as a founder? Have YC been able to keep the same quality of mentorship with the largely expanding number in their latest batch? 3.) VC funding is usually very available to YC alums graduating, how will Puneet go about picking his investors? What are the fundamental determinants? 4.) What have been the biggest takeaways for Puneet? What has been the highlight? What has been tough? What was surprising and unexpected? How did Puneet deal with the requirement for 10% weekly growth? 5.) Taking a step back now, Puneet has stated before about building the Turing test for money. So what does he mean by this and how does he look at AI as a key driver for conversational commerce? 6.) What is it about messaging that makes Puneet believe this is the platform of the future? What is it that bots provide that has never been possible before? 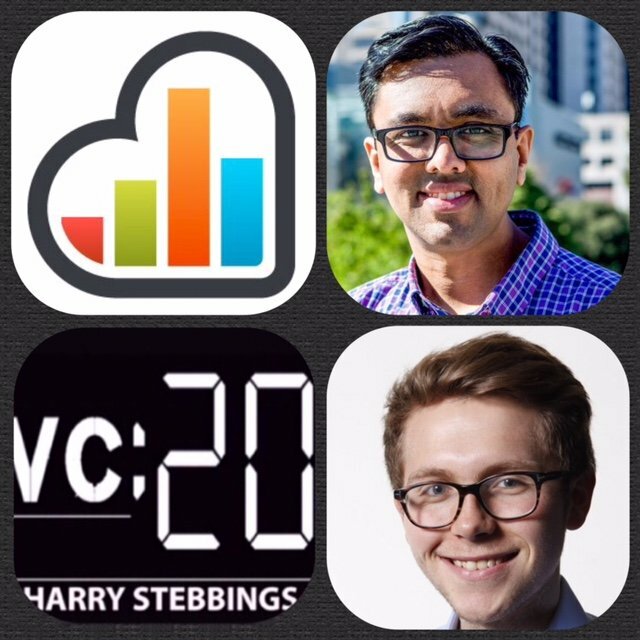 As always you can follow The Twenty Minute VC, Harry and Puneet on Twitter here! Ciaran O’Leary is the General Partner at one of Europe’s newest funds, BlueYard. A $120m fund located at the early stage, centring around 3 key areas: The decentralisation of markets, the democratisation of capabilities, and the liberation of data. 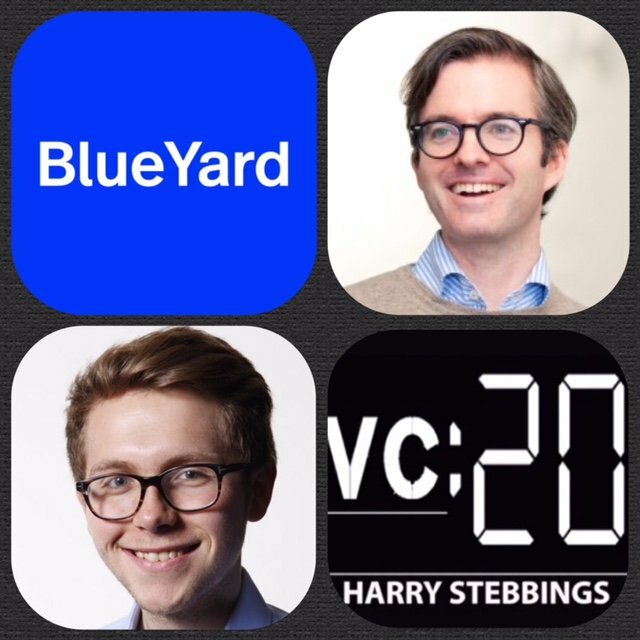 Prior to BlueYard, Ciaran was a Partner at Earlybird with investments in the likes of Peak Games (emerging markets social gaming), 6Wunderkinder (productivity apps), Moped (private messaging), B2X Care Solutions (outsourcing platform), madvertise (mobile targeting network) and simfy (digital music distribution company). Before Earlybird, Ciarán co-founded a startup and gathered operational experience at others. 1.) How Ciaran made his way into startups and the investing industry? 2.) What is the thesis with BlueYard? What is the preferred cheque size, sector and geography? 3.) 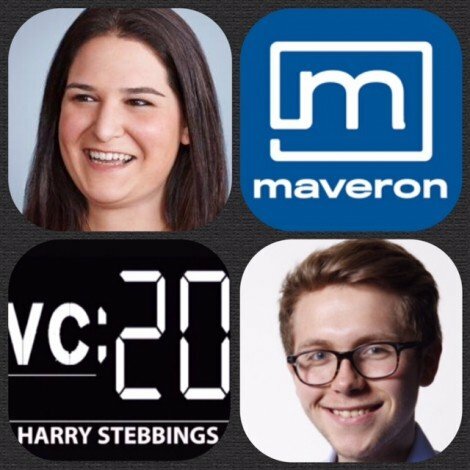 With the mass of VCs emerging, how can startups at the early stage determine whether a VC really is early stage? Are there any defining characteristics? 4.) For startup founders out there who always hear from fellow founders that everything is going gangbusters, how should they react to that? How can you determine whether a startup really is doing well? 5.) Say the startup really is going well and they are looking to scale and hire, we always hear we need a world beating, world class X? How can they communicate that hire better to their current team and their board? What should the CEO or Head of Talent be focusing on when viewing talent? Is there anything they should look out for in particular? 6.) Now when a startup really scales, board meetings become a big part of a CEO’s life. So how can CEO’s turn useless board meetings into very useful value added meetings? How can they optimize that time? What should they look for? What should they ask for? As always you can follow The Twenty Minute VC, Harry and Ciaran on Twitter here! Matt Mazzeo is Managing Director at Lowercase Capital, alongside legendary angel investor, Chris Sacca. At Lowercase Matt leads a seed and series A investment strategy managing a portfolio of over forty investments including Uber, Twitter, Stripe and Optimizely just to name a few. Prior to joining Lowercase Capital, Matt spearheaded many of the digital and venture efforts at Creative Artists Agency (CAA). Matt helped shape the agency’s seed stage investment strategy and played an integral role in the founding of CAA’s incubated start-up companies, including Funny or Die, WhoSay, and Moonshark. Matt has been recognized as an innovative force across technology, entertainment, and advertising for which Fast Company named Matt one of the Most Creative People in Business. In addition to making Forbes Midas Brink List in 2014, Matt has been recognized on both Ad Age’s 40 Under 40 List in 2013, and The Wrap’s Inaugural Innovators List. 1.) How Matt made the transition from the world of celebrity management to the world of venture capital? 2.) How have we seen the personalisation of VCs in the emerging eco-system? Are VCs themselves brands now? How does Matt look to establish his brand? 3.) What are the required KPI’s to make a successful investor? What is Matt pleased with in himself and what would he like to improve? 4.) Why will we see the decentralisation of VC away from the traditional Sand Hill Road? How does being in LA affect the operations and deal flow of Lowercase? 5.) What are Matt’s biggest learnings from being partner with Chris? What has Matt founded the most challenging in making the transition from CAA to VC? 1.) What does Niccolo make of the wildly unrealistic pricing applied to early stage startups today? What will result from this incredibly optimistic pricing? 2.) If Niccolo were a VC today, how would he respond to the impending implosion of the early stage startups? 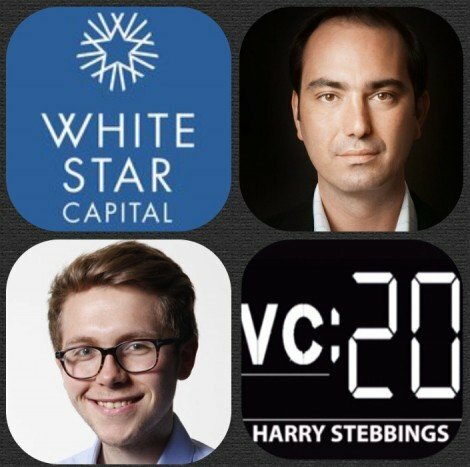 What are the best VCs currently doing and what can startups do to preserve as much value as possible? 3.) How central a role does first mover advantage become in a down turning market? Will we see large scale consolidation and if so what will the effects of this be? How can startups position themselves to be the consolidator not the consolidated? 4.) How do Glu pick the celebrities that are featured for their celebrity feature games? What are the KPI’s? What are the requirements in terms of existing brand and audience for a celebrity game to be a success? 5.) Why are women better at establishing larger social following than men? What celebrities would Niccolo most like to have on Glu’s platform who they currently do not have? Christian Hernandez is the Co-Founder and Partner @ Whitestar Capital in London. Prior to co-founding White Star Capital, Christian worked at Facebook and led the international expansion of the company’s Business Development, Platform and Developer Network groups. He previously held leadership roles in the U.S. and Europe at Google and Microsoft and started his career in technology at MicroStrategy, a startup he joined prior to its 1999 IPO. Christian has worked closely with entrepreneurs and leading VCs and has been an active angel investor and advisor. He represents White Star on the Boards of KeyMe, Glow Media, Bloglovin’ and Hole 19. Christian also serves as a Young Global Leader of the World Economic Forum. 1.) How Christian made his way into startups and the investing industry? 2.) Having worked with the likes of Facebook, Google and Microsoft, how has Christian seen the ecosystem develop; for both the good and the bad? 3.) Moving to White Star specifically now, what is the thesis, investment mandate? Average cheque size, preferred sectors? Geography? Talking of geography, WSC has a transatlantic model with offices in both London and NYC, why is that? What are the benefits of having this spread? 4.) According to Mattermark, White Star have 38% of your portfolio in mobile, so what are Christians views on the evolution of mobile? How does he respond to Fred Wilson’s post about the mobile downtown and the difficulty in attaining and maintaining traction for mobile apps? What are Christian’s thoughts on discovery? 5.) Where does Christian stand on the relationship between growth and revenue? Are there any cases where it can be beneficial to focus solely on growth? In today’s environment, with VCs moderating their valuations more, is it possible to raise on pure momentum growth? 6.) Christian recently wrote an article: ‘Hiring For The Future Of Your Company’, so what does he really mean by this? Is it not a little ironic coming from the VC scene, an inherently risky asset class who have a fundamental unwillingness to move away from the old hiring style of investment bank or consultancy, in many cases? 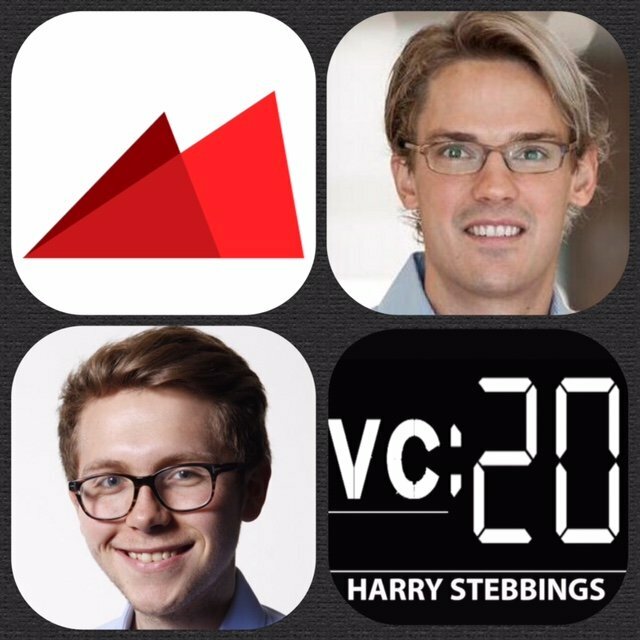 As always you can follow The Twenty Minute VC, Harry and Christian on Twitter here! 1.) How Tom made his way into startups and the investing industry? 2.) What does the huge drop in late stage saas valuations mean for the early guys? Does Tom expect them to hunker down? Take more time? Spend less cash? 3.) In recent years with the likes of Zenefits, we have seen the rise of Free Saas Enabled Marketplaces, why have we seen this rise, what are the benefits of adopting this strategy? Does the lack of predictability and lower (30%) gross margin not generate concern towards the model? 4.) Where does Tom see room for real innovation in SaaS? Is Tom excited about mobile enterprise? 5.) Question from Javier Soltero @ Microsoft: How have you approached developing your ‘personal’ brand and how that has made an impact in your development as an investor? 6.) Question from Eric ver Ploeg (episode 70) and Tak Lo (Episode 37): Where does Tom generate the ideas for articles and what does the idea creation process look like?’ What does the scheduling look like to churn our such high quality content on a daily occurrence? 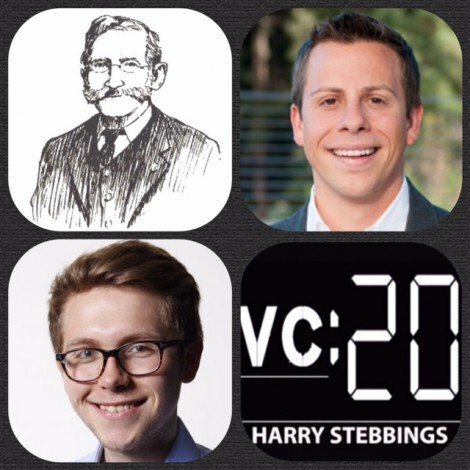 As always you can follow The Twenty Minute VC, Harry and Tom on Twitter here! Hiten Shah is one of the most prominent players in the data marketing industry having co-Founded both KissMetrics (raised $10m+ VC Funding) and Crazy Egg (bootstrapped), both wildly successful businesses serving some of the world’s largest companies. Hiten is also an extremely successful angel investor with investments in the likes of Buffer, Mattermark and MessageMe (acquired by Yahoo.) In addition, Hiten is also a serial startup advisor having been an advisor with Linkedin, SlideShare and WordPress’ Automattic. 1.) How Hiten made his way into startups and the investing industry? 2.) Why did Hiten decide to take VC funding for on startup and not the other? Did taking VC funding allow for much greater growth or make him less resourceful and creative? 3.) How have Hiten’s entrepreneurial endeavours altered his attitude to investing? How does Hiten’s large personal brand add to his investing style? 4.) Hiten has said before that he likes to ask founders ‘what is their earliest most traumatic memory’? Why is that and what does Hiten learn from that? 5.) Question from Erik Torenberg @ ProductHunt: How does Hiten assess which startups he wants to spend time with as an advisor? 6.) Question from Ryan Hoover @ ProductHunt: What is the most counter-intuitive advice for this starting a company? 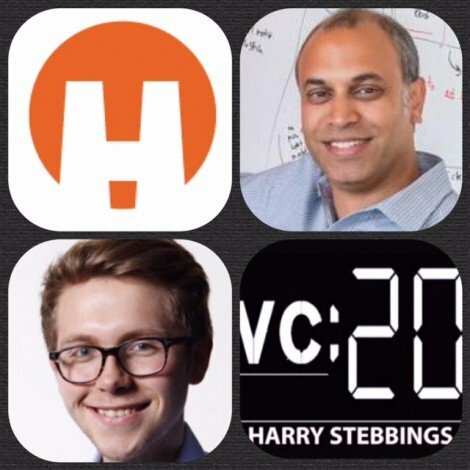 As always you can follow The Twenty Minute VC, Harry and Hiten on Twitter here! 1.) How Jim made his way into startups and the investing industry? 2.) What was it like being in the midst of the social media revolution as it was taking place? How does Jim view the social scene today? Why does Jim think there is skepticism to investing in social? 3.) On consumer mobile Fred Wilson stated: ‘doing anything in the consumer mobile space is super hard. i can’t think of many consumer mobile apps that have gained massive traction and sustained it. can you?’ So why is the space so hard? Is it not a monopoly play with the dominant incumbents? 4.) How has Jim seen the consumer landscape develop over the last decade with the rise of mobile? How can you tackle the distribution challenges inherent within mobile? Does Jim agree that with mobile consumer product market fit is no longer enough to gain a large user base? 5.) What are the core elements of building a successful consumer business? What are the challenges? Is there a pareto’s principle on this, with 20% determining 80% of the returns? As always you can follow The Twenty Minute VC, Harry and Jim on Twitter here!